Dr Mark Tuffley is an oral surgeon based in Brisbane, in the heart of Brisbane City. 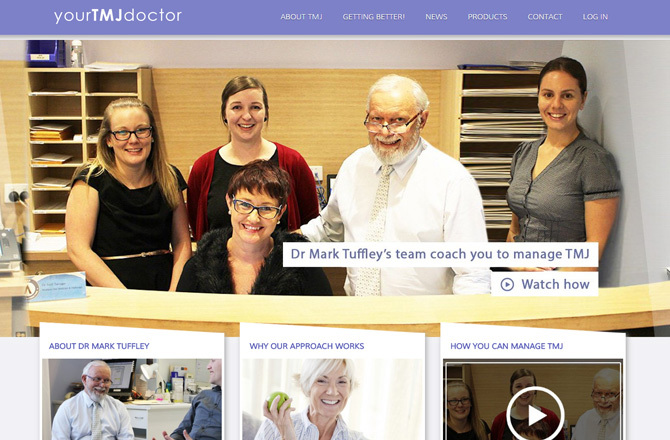 Dr Tuffley required a website to showcase his practice’s services and help disseminate helpful information about Temporomandibular Joint (TMJ) treatments and dysfunctions. Dr Tuffley has spent over 30 years researching the Temporomandibular joint (TMJ) and it’s disordered function (TMD). He wished to help the many people suffering from TMJ by sharing his many years of clinical experience through video interviews and downloadable information packs.